Glaucoma is a disease in which there is progressive irreversible damage to the optic nerve, often as a result of high pressure in the eye. It results in loss of visual field (the area around us that we can see) and eventually vision loss and finally blindness. It is counted among the most common causes for blindness in India and is estimated to affect over 12 million people in India, around one fifth of the worldwide burden. In various studies in India, it has been observed that over 90% of glaucoma was undiagnosed and found only during the survey. 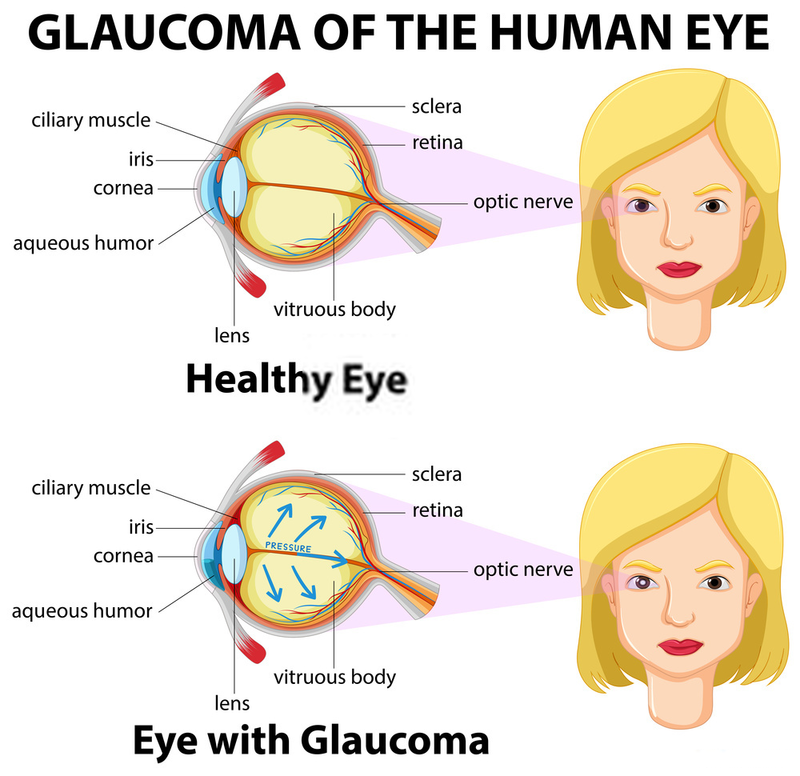 The chances of developing glaucoma are high if anyone else in the family has glaucoma. 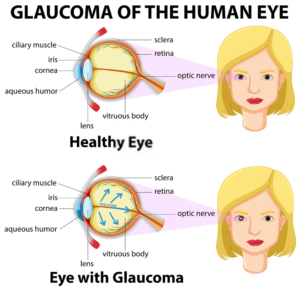 Glaucoma is called as a silent thief of vision because in majority of the cases, it does not present with any symptoms or signs and by the time it is diagnosed, a significant part of the vision is lost. However, in a few cases it may present with heaviness and pain in the eye, coloured halos (rings of colour around light), blurred vision and redness in the eye. 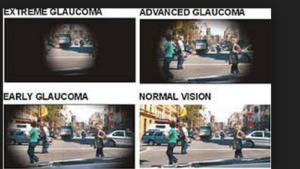 Diagnosis of glaucoma requires a few eye tests. These include measuring the pressure of the eye, inspection of the optic nerve, assessment of the visual fields and evaluation of the optic nerve in detail with machines like Optical Coherence Tomography (OCT). The treatment for glaucoma depends on the eye pressure, extent of damage to the optic nerve and type of glaucoma. It may include eye drops (which need to be put regularly at a specific time, often for life) or laser therapy (which generally involves creating a small opening in the iris to allow the fluid in the eye to drain effectively) or surgery (which involves creating an opening in the white sclera of the eye to allow the pressure in the eye to reduce). It is very important to be on a regular follow up with the eye doctor if glaucoma is diagnosed. Blindness due to glaucoma is preventable and avoidable. Be aware and go for a regular eye checkup if you are over 40 years of age, have a family history of glaucoma, have diabetes, use high powered glasses, have used steroids in the past or currently using, have a heart problem or history of previous eye surgery or eye disease.